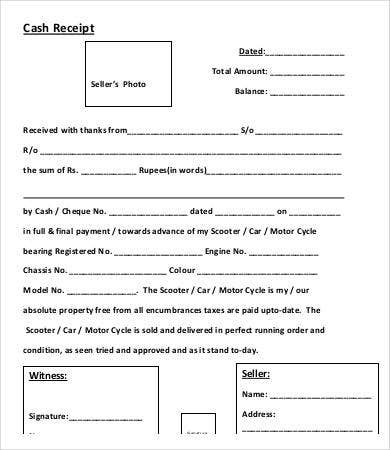 When making transactions, there should always be a document supporting this. This way, both parties will be able to protect themselves from legal problems. 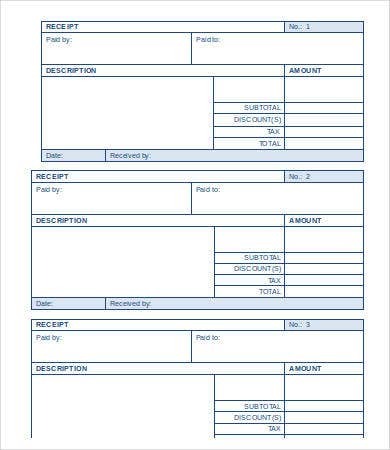 One of the documents that you can use to document transactions is the receipt. 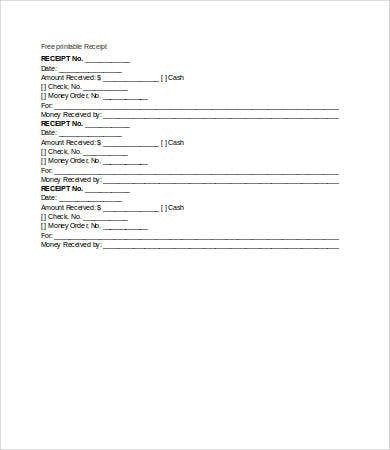 Receipts are sheets of paper issued by a person (seller) to another who is giving the payment (buyer) to acknowledge that a transaction has been made and the seller was able to receive payment from the buyer. 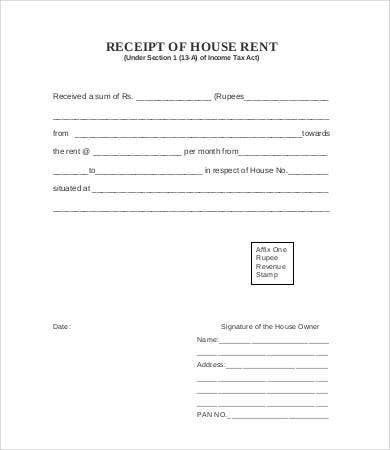 As a buyer, it is very important to always ask for a receipt; and as a seller, we should also make it a habit to issue receipts to our clients. Here on our website, we have a collection of different receipt templates for you to choose from. A receipt should contain all the necessary information from the transaction. Since receipts may be used as evidence for transactions that took place, having a properly filled-up receipt might just protect you from any legal complaints. Thankfully, the templates on our website contain all those necessary fields to guide you, if you are planning to make your own personalized receipt. Receipts serve as legal proofs of purchase and may be used if you need to have something exchanged or returned. Receipts can help keep track of how much money is spent and where we this is spent on. 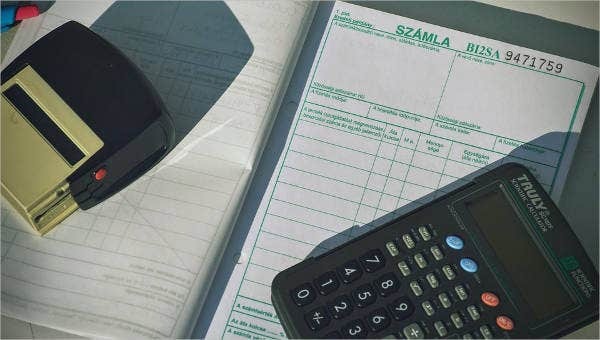 Receipts can also be used for reimbursement purposes, especially for medical reimbursements programs your employer has. 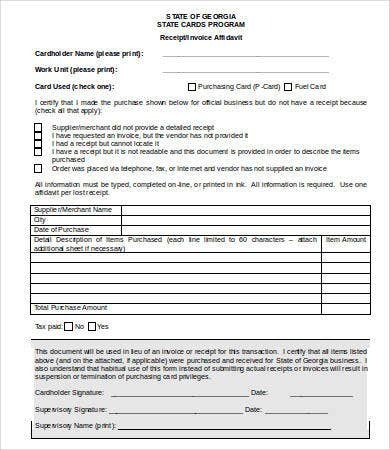 Upon issuing a copy of the receipt to the buyer, a duplicate copy is also written for the issuer’s safekeeping. 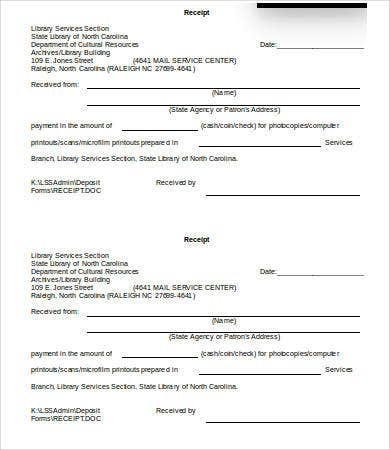 This way, the issuer can also keep track on the how many receipts have been issued and to whom. 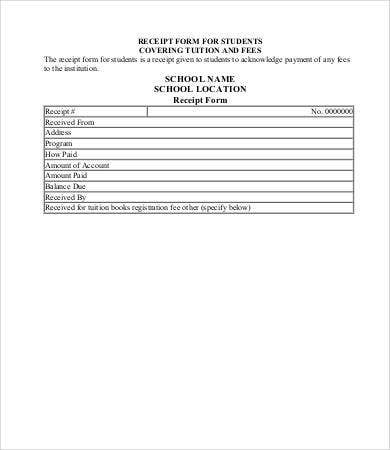 You may want to check out more payment receipt templates if you couldn’t find any templates you like here. Our website contains a big collection of printable receipt templates for various purposes. 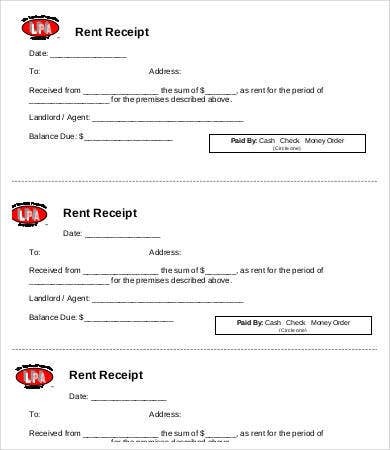 We have receipts for payments, for rents, and for sales to name a few. These templates can be accessed and downloaded easily for your convenience. These templates come in Microsoft Word formats and in high-resolution PDF. These templates are also fully editable, so you can make the necessary changes depending on your preferences. 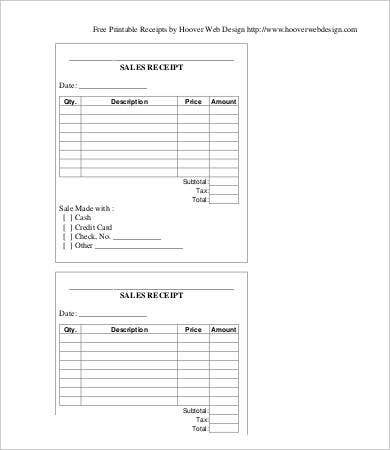 You may also want to check out our collection of invoice receipt templates. But if you weren’t able to find what you were looking for on this page, scroll to the bottom and check out the provided links to other related templates found on our website.